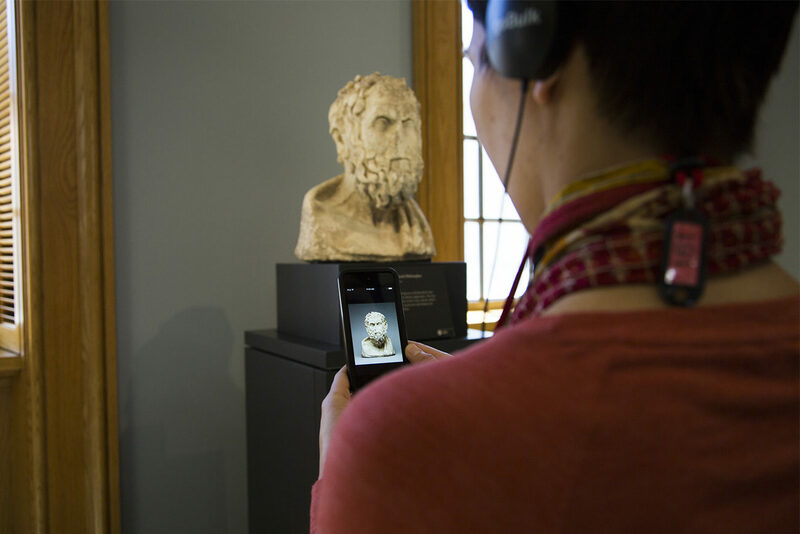 A visitor explores a marble bust with the help of a GettyGuide multimedia player. How do you make the old feel new? This was the initial question I asked myself when producer Tim Halbur and I were tasked with developing the Getty Villa’s new interpretive audio guide. The next two questions I asked were: How can we inspire a vital connection to objects that are more than 2,000 years old? And, how can we innovate the museum audio tour? The reinstallation of the Getty Villa’s permanent collection provided the perfect opportunity to rethink and freshen up related audio guide content. We created more than 130 new stops (two-minute audio bites) that accompany 60% of objects on display. We also produced a Highlights Tour, which features 12 select objects translated into nine languages. With my original question in mind, here are six things I think about while writing an audio tour, as well some specific insights into how we developed the new Villa audio guide. Although the primary objective of an audio tour is to educate, it is equally imperative to surprise, delight, and engage audiences. Instead of presenting facts and figures, we go beyond what can be read on labels, which are often limited by space and word count, to share stories that visitors can connect with both intellectually and emotionally. We collaborate with curators to select objects that have engaging stories to tell, and identify experts to interview who can tell those stories through unique perspectives. Narratives begin to unfold as I research the subject matter and conduct interviews. The audio stop is a tapestry of hand-picked soundbites woven into a story that I write, which is then performed by a narrator and enhanced by music and sound effects for a dynamic listening experience. To me, podcasts provide one of the best examples of audible storytelling, often striking a balance of being informative and inviting through a conversational tone. Tim and I are big fans of Radiolab. A hallmark of the program is the seamless back-and-forth between the narrator and interviewee: they finish one another’s sentences, interject, and sometimes talk over one another. We’ve adopted the same approach. The narrator’s voice (performed from my script) provides the glue that connects select soundbites as well as drives the story from a perspective of curiosity. Writing audio tours, I don’t have the pleasure of interacting with museum guests, yet I want to address questions that a visitor might ask. The narrator therefore asks these questions, makes observations, and sets up ideas that are then answered or elaborated on by experts. The narrator also interjects to “translate” expertise; for example, defining art historical terms such as “repoussé” or ancient words like “maenad,” which might be unfamiliar to listeners. This approach invites the listener in on the conversation. We recognize that our audience is diverse and multicultural, so we want to reflect diversity in our cast of voices. For the new audio tour, we worked with five narrators of which three are female and half are people of color. In keeping with our conversational approach, we leaned away from narrators who sounded “actory” and instead sought voices that sound natural and informal. 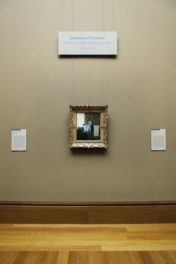 To further diversify our voices, we brought in experts beyond the Getty who provide unique and unexpected ways of seeing, including a classics professor from UCLA, a glass artist from the Corning Museum of Glass, an author on Greek love and homosexuality, and a Los Angeles–based contemporary artist and illustrator. FEMALE NARRATOR: This whimsical glass fish was both decorative and practical. 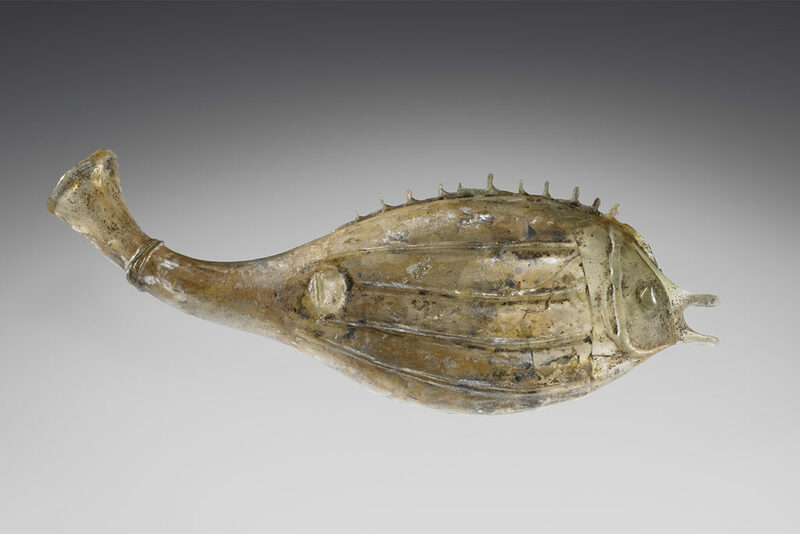 Fish sauce, called “garum,” was a popular condiment in ancient Rome, and it was likely that the shape of this vessel reflected what was inside. ERIC MEEK: The fish flask that we see here has wonderful additions of glass along the sides to form stripes, along the back to form the pinched dorsal fin, eyes, and also a gill. NARRATOR: Erik Meek is a glass artist and studio manager at the Corning Museum of Glass. MEEK: One of the wonderful things about being a glassmaker and looking at these objects that were created 2,000 years ago is to have the thought in your mind that the technique and the process has changed very little. Even today, the toolkit that glassmakers use is very small. We have a series of shears and pinchers and tweezers and things that allow us to shape a great variety of different types of works. And it was the same in Roman times. NARRATOR: To free-blow glass, an artist uses his or her own breath to inflate molten glass from the end of a blowpipe. The basic shape created is either a tube or a bubble. MEEK: And I think it’s great having that bubble as your initial format, and then being able to play with it, add additions and to create form. If you press it flat, add some decorations, you’ll wind up with something that looks like a fish. NARRATOR: Free-blowing glass revolutionized glassmaking. Vessels were thinner, they cooled faster, and they required less material, making glass objects more affordable and widely available. It also invited craftsmen to create unique shapes and forms, such as this fish. When I first began my job as an interpretive content writer, the sage advice I received was to write for the ear and imagine how a friend—albeit a very knowledgeable friend—would share their favorite aspects of the art on view as you experience the museum together. A friend speaks warmly and casually; they use contemporary language. This way of speaking not only bridges the gap between the language of the expert and that of the novice or enthusiast but is key to making the ancient world feel relatable to a modern audience. In the narration, I integrate pop-culture references (such as Michael Jordan), comparisons to timeless entertainment (like drinking games), and even use colloquialisms and slang, such as the word “bling” to describe the ancient jewelry worn by a woman in her mummy portrait. Modern references can convey an idea more vividly—and often more clearly—than formal explanations. It’s not enough to tell visitors about the ancient world; it’s important to immerse them in it. Tim worked with musician and ethnomusicologist Robert Catalano to record and mix 40 pieces of ancient Greek, Roman, and Egyptian music, using authentic instruments including a lyre, aulos, and krotala. A master at audio editing, Tim also employed sound effects to create an immersive sonic ecosphere, recreating ancient battles, chariot races, banquets, and a sculptor’s workshop. The richness of the sound production was especially important for our Highlights Tour, which could only feature one voice to make it easy to translate into many languages. With the absence of multiple voices, we relied exclusively on the narrator’s storytelling power and Tim’s wondrous soundscapes to provide an exciting, affecting experience. FEMALE NARRATOR: Imagine that you are a sculptor in an ancient Roman workshop in the first century A.D. Before you is a slab of white marble, and it is your job to transform this block of stone into a portrait. The subject? The daughter of the Roman emperor Titus, Julia Titi. Using your hammer and chisel, you begin to chip away at the marble. Slowly, a head begins to take shape. You carve a pair of large, wide eyes, thin arched brows, and a set of lips that curl up ever so slightly at the corners. (sound effect: gritty sanding of marble) Using abrasive materials, you smooth the marble into soft cheeks and a rounded chin. Julia’s smooth skin is offset by a high mound of corkscrew curls that are carved using a hand drill. (sound effect: hand drill spinning into stone) Much like starting a fire, you spin a large spindle with a drill point back and forth into the marble. The pressure and friction allow for deep, shadowy channels, creating the illusion of real voluminous hair. 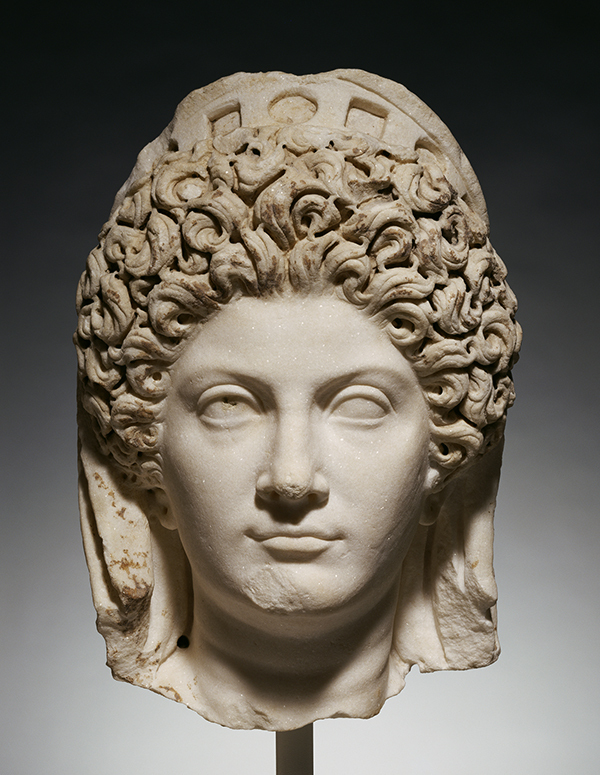 Women of the imperial court, like Julia Titi, wore elaborate hairdos, which set the trend for the women of Rome. 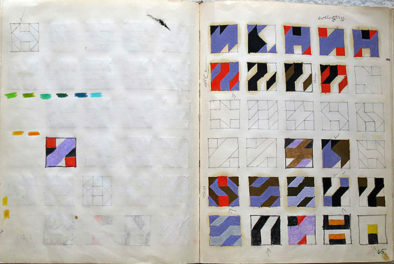 The more complicated, the better, as it was a sign of wealth and sophistication. But people weren’t just talking about her hair. Julia Titi was the subject of many rumors, most of them salacious. After her father and husband died, Julia became the mistress to her uncle, Domitian––her father’s successor and a married man. This liaison was condemned by her contemporaries, and was even documented by historians and poets. [lyre music and sound effects end, sympathetic string music] Rumor even had it that she was pregnant with Domitian’s child, but was forced to terminate the pregnancy. This juicy gossip is the kind of thing that could ruin someone’s image. But you, the sculptor, must ignore it because this is an official, imperial portrait, meant to reflect her best qualities. As a finishing touch, you hollow out squares and circles on her diadem, and fit the settings with gemstones. Carefully, you drill tiny holes in her ears and neck to attach earrings and a necklace. 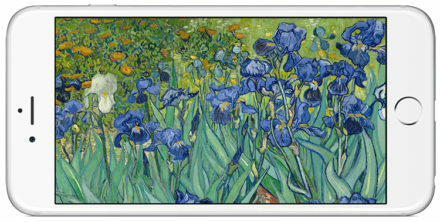 The final effect is a portrait that is radiant, refined, and pristine, unlike Julia Titi’s reputation. The joy of writing these audio stops is getting to share stories that are surprising, sentimental, humorous, shocking, and maybe even a little gross. Here’s one of my favorite stops, discussing an oil jar shaped like a boxer’s head and the unexpected contents it might have held. FEMALE NARRATOR: This guy looks like he’s been in a few fights. CARRIE TOVAR: He is grimacing; he is missing teeth; his nose has been broken. TOVAR: He is wearing a leather cap, and leather caps were sometimes worn by athletes as protective wear. The tuft of hair in the back of the head or sometimes worn on the crown of the head is called a cyrus, and a cyrus is an identifier of a professional athlete. The two little tufts of hair on the sides form loops that would’ve held a handle, and it would have had a lid, and so it would have been easily carried. KENNETH LAPATIN: One thing that’s interesting and also kind of gross is in the ancient world, after athletic events, athletes would cleanse themselves by scraping off the sweat, and dirt, and dust of the arena with oil. And this would be some form of goop, which to us sounds pretty disgusting. But the goop from the victors was highly valuable–it was their essence–and that could be sold for very high prices to aspiring athletes. So, you could buy the essence of the equivalent of Michael Jordan or Muhammed Ali, and smear this on yourself to gain some of their great proficiency. 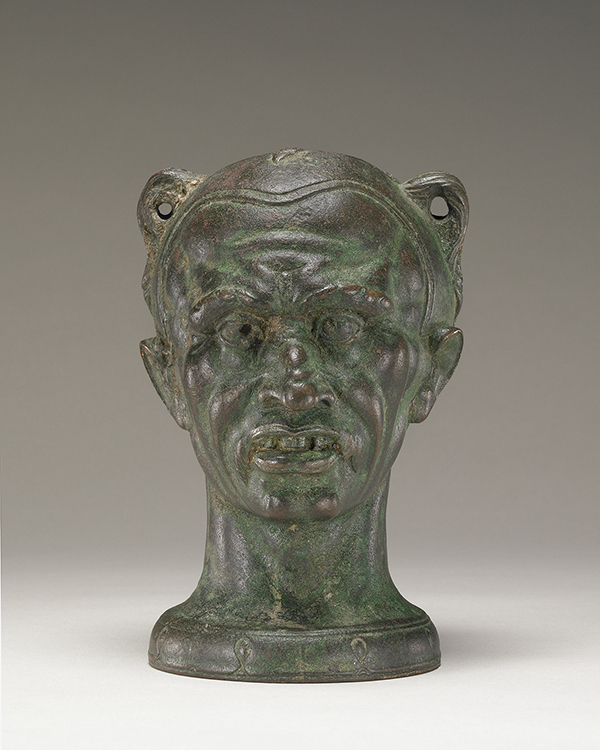 And something like that could have been held in this vessel, and so the boxer’s face is almost like a label of sorts. We don’t know for sure. If you’re planning a visit to the Getty Villa, you can pick up a multimedia player free of charge at the GettyGuide Desk just inside the main entrance to the museum. My hope is that through these refreshed audio tours we have reawakened the ancient world through sound and story, and that through an exploration of the old, the visitor walks away having experienced something new and unexpected.